Japan is one of the most popular tourist destinations in the world, with an estimated 31 million visitors last year alone. Its popularity has soared over the last 20 years, with an impressive 656% rise in the number of tourists since 1998, making it now one of the most visited countries on the planet. So, what is exactly driving people to visit? Of course, this is an extremely complex question, but overly simplified, there are a few key reasons why Japan is such a sought-after destination: It’s unique culture, advanced technology, buzzing night life, and outstanding natural beauty. These factors mean there really is something for everyone here. 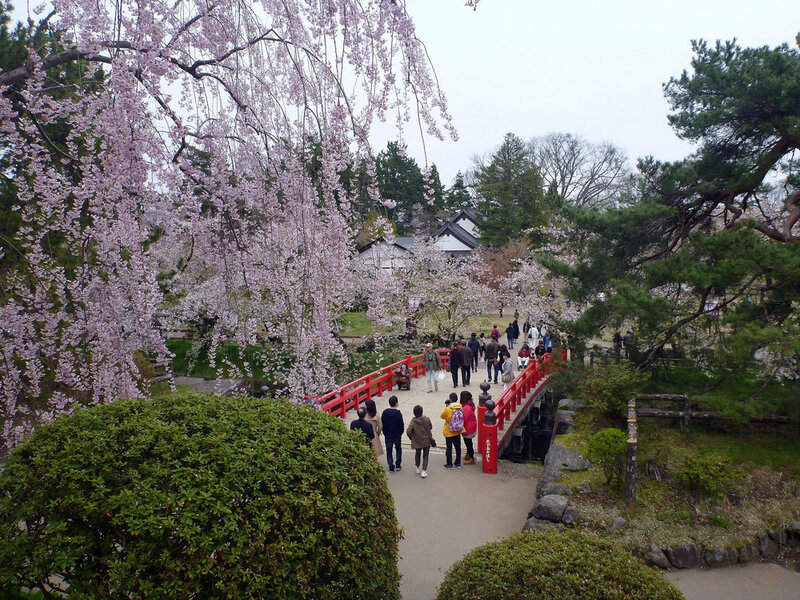 April is one of the best times to visit Japan, as it is the start of spring. You’ll find cherry blossom trees blooming and fabulous festivals celebrating the season. Here are the best places to visit in Japan at this time of year. This is one of the most famous spots in Japan for beautiful cherry blossom, with over 2,500 trees that bloom in spring. Surrounded by magnificent mountains and guarded by the ancient Hirosaki Castle, it offers spectacular scenery. You can admire the cherry blossom as you sit for a picnic, stroll around the parkland or from the water in a rented rowboat. Visit towards the end of April as there is a fun festival to celebrate the bloom! The stunning Shinjuku Gyoen park in Tokyo is a must visit during any season. This picturesque park is set within the sprawling urban landscape of Tokyo. It truly is bursting with natural beauty, with lush woodland, vast ponds and well-kept gardens to enjoy. It is filled with cherry and plum trees that flourish in the spring, making it a great time to visit. This is the perfect place for tourists who want to explore both Japan’s modern cityscape and its unique natural beauty. This world heritage site sits just outside of central Kyoto on a magnificent mountainside. It is a must-see attraction in April, with around 700 cherry blossom trees that bloom across the grounds. Explore the ancient architecture such as the Sanboin, built in 1115 and home of the head priest. There are also numerous trails here that venture into the forest, where you can discover rusty red, amber and emerald green leaves that glisten in the sunshine. Japan truly is a magical country, filled with wonderful natural beauty and culture. Why not start planning your spring trip today? Also, a super common question I get is: What camera is best for travel photography? I use a Nikon D5600 and use both the kit lens and a Sigma wide-angle lens. I am genuinely obsessed with the wide-angle lens and think every travel photographer should have one. My full list of travel gear, that I take on every trip, can be found here. And of course, if you have any questions DO NOT hesitate to reach out to me via Instagram, Twitter, or just shoot me an email at tessajuliette at gmail dot com.